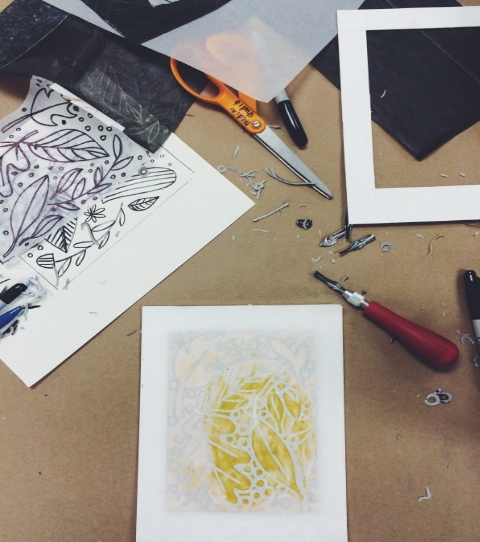 Had the best day at work thanks to an awesome linocut workshop taught by Anne Passchier!!! The inspiration for my first print (collected while hiking last weekend). We started with a drawing, transferred it to carbon paper, then go our linoleum. My hand is sore tonight! Anne prepping for an ombré print. My second linocut of the day.